Qualifications for a loan modification varies from lender to lender and is constantly being adjusted by lawmakers and lenders. However, generally many of the programs required your to be at a minimum 60 days in arrears on your mortgage loan and not have been approved for a loan modification previously in the past 12 months. Many other factors are considered when determining eligibility for a loan modification including income, amount of other debt, payment history, etc. Among the many documents required to qualify for a loan modification are tax returns for the last two years and 60-90 days of income statements. 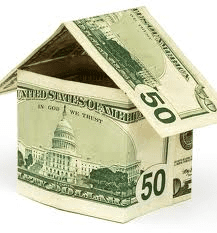 Each lender has other requirement and will provide you with a list. The most frustrating part of the loan modification process is the constant request for the lender for updated documents. If you lender is asking for documents you have already sent it is a sign that modification is not being handled appropriately and therefore is likely not to be approved. Don’t let your guard down just because a sale rep for the mortgage lender is saying everything is okay. Nothing is okay until you have a signed modification in your hand. Unfortunately, you only hear the success stories in the news. Hear the reality in this video (click here). If you have any doubts about your ability to qualify under one of the loan modification programs you can contact a local HUD approved housing counseling agencies listed (click here). Loan modification assistance is close by. To speak with a attorney about loan modification call 800-662-8813 or schedule a free consultation online by clicking on the link.